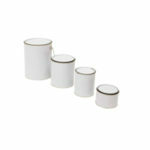 Perennial Packaging’s Tinplate Microdrums are available in sizes ranging from 250ml through to 5L. 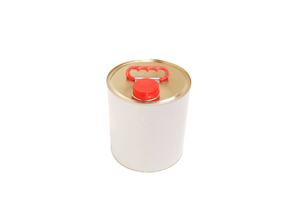 Tinplate microdrums are commonly referred to as metal jerry cans and used as petrol cans as they are suitable for storing harsh chemicals and dangerous goods. In addition to hazardous goods, tinplate microdrums are also suitable for the storage of solvents, water based paints, and oils. 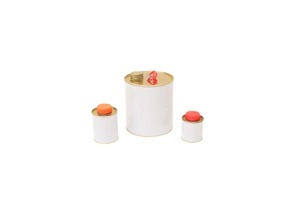 These small metal drums are cylindrical in shape with a sealed top. A variety of metal or plastic screw on caps, pourers and spouts can be fitted to the Microdrum for filling and dispensing needs. Our tinplate microdrums are suitable for a wide range of applications including paints and coatings, solvents, water based products, oils, petroleum and chemicals. As with our entire range of steel packaging products, you can choose to customise your own tinplate microdrum to your specific product requirements. For a completely unique and innovative packaging solution, add your choice of closure systems and decorative coatings and finishes to market your product range. 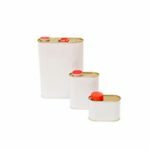 With these options, there is a tin dum to suit any product packaging requirement. UN Dangerous Goods Approved to Packaging Groups II and III. Available in standard sizes: 250ml, 500ml, 1L, 2L, 4L and 5L. Plus, other custom sizes available. Choose from the full range of closures and fittings available from Trisure, Reike and Stolz. UV lithographic metal printing option available. Can be customised to your specific packaging requirements. For more information about our Tinplate Microdrums please refer to the General Line Cans Product Guide or Contact Us today to discuss your packaging requirements in detail.